The sway of gently arching foliage and swish that follows as they rustle in the wind are treats for the eye and the provision of the elegant fountain grass. There are many varieties of Pennisetum, with a wide range of sizes and foliage color. 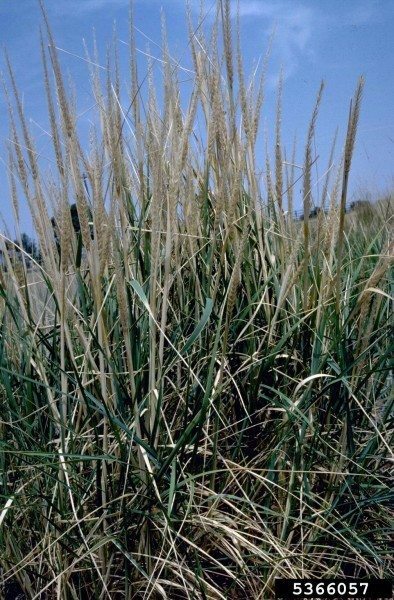 Near the end of the season, you may find your fountain grass turning white, bleached and unappealing. What is happening? Are there some sort of terrible fountain grass problems? Rest your mind, the plant is doing quite fine. The bleaching is a natural part of the plant’s life cycle. Fountain grasses are perennial plants that form dense clumps of airy foliage. The grasses are a warm season plant, which means that they go dormant in winter. Fountain grass problems are few and the plants are tolerant when established. They are hardy, low maintenance plants for the savvy gardener. White fountain grass, or Pennisetum setaceum ‘Alba,’ is an attractive form with slender green foliage and delicate nodding white inflorescences. Contrary to the name, it should not have white or even silvery leaves, but the name instead refers to the flower hue. White fountain grass foliage arises near the end of the season when cold temperatures begin to arrive. The change in color signals the arrival of the plant’s dormancy. Usually, the blades start to yellow and fade, and eventually the tips turn white and brittle. A fountain grass turning white is the plant’s response to the cool temperatures as it readies itself to slumber until warm season temperatures return. Any of the other varieties of fountain grass will experience the same bleaching and die back for winter. Fountain grasses thrive in United States Department of Agriculture zones 5 to 9. In hotter climates, it may get burned by harsh sun rays and lose color on the tips of the leaf blades. 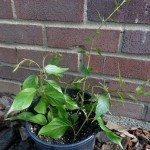 In colder climates, the plant is an annual and will begin dying back in cold weather. If you wish to preserve your plant in northern climes, pot it up and move it indoors for the winter. Plants that are grown in hot climates benefit from protection from midday sun. The foliage will perform best in light shade. If fountain grass is bleaching out in any other condition, it is likely just a seasonal display and should be enjoyed. Should the color bother you, however, it is okay to cut the foliage back to several inches above the ground in late fall and wait for the new blades to come in when spring arrives. Fountain grass is relatively resistant to pests and disease. Some plants may develop foliar problems with rust fungus, and slugs and snails may occasionally take bites out of the foliage but overall it is a hardy, rugged plant with few issues. The seed heads produce prolifically, which can become a problem in some climates where they readily propagate and spread. Cutting off the inflorescences before they produce seed should reduce the issue. 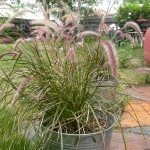 Fountain grass is a reliable plant with graceful appeal and several seasons of interest, so don’t worry about the faded foliage and focus on the next spectacular season.